Nimrod Taabu, who is one of NTV's most celebrated presenters has decided to call it quits. According to sources, Nimrod could be joining Citizen TV to replace Kanze Dena but this will be confirmed later. Kanze was recently appointed by President Uhuru Kenyatta as the Deputy State House spokesperson and left her position vacant at the Citizen. 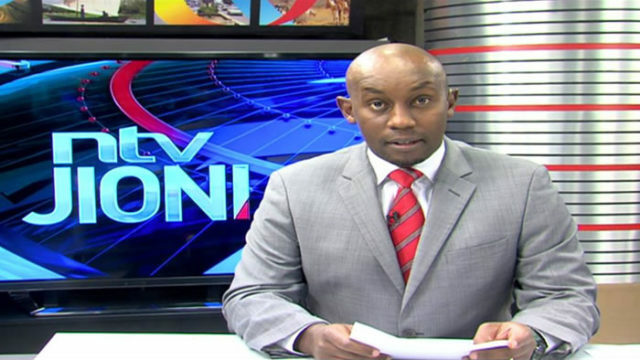 The 41-year-old Nimrod is well known for his mastery of Swahili and reporting skills which have seen him bloom while working with the Nation Media Group. Other top journalist who have also left includes Linus Kakai who resigned as the Managing Editor alongside Victoria Rubadiri and Jamila Mohamed.